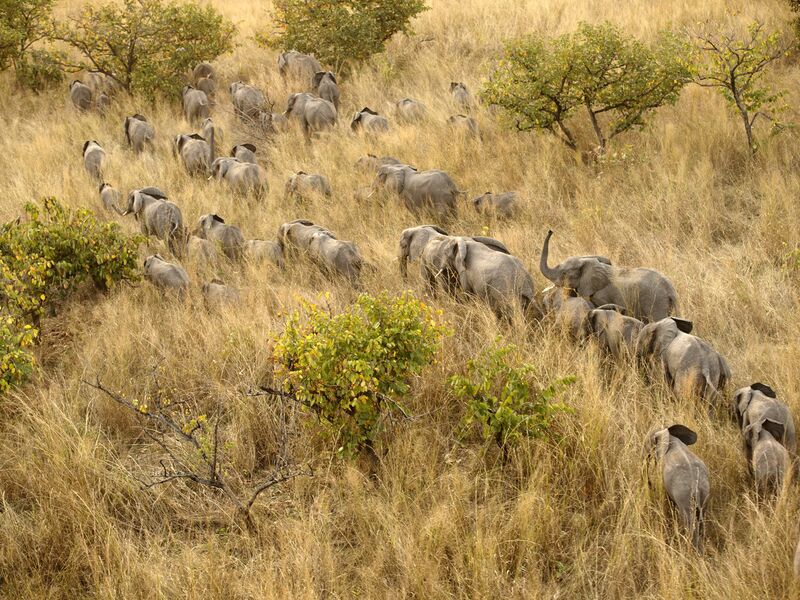 In 1977 there were 22,000 elephants in Garamba National Park. 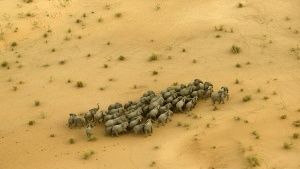 Today there are less than 1,200 and the park is the last stronghold for the largest population of elephants in the DRC. Garamba was the last place the Northern White rhinos lived in the wild, disappearing not long after Joseph Kony, the leader of the The Lordâs Resistance Army, moved into the park. This image is from The Last Animals. Dolomites, Italy: A golden eagle. For golden eagles in the higher latitudes of the planet, winter is often the hardest time of year. For some scavenging from carcasses is the only way to survive the harsh conditions. In some populations less than 50% of golden eagles will make it through their first winter. 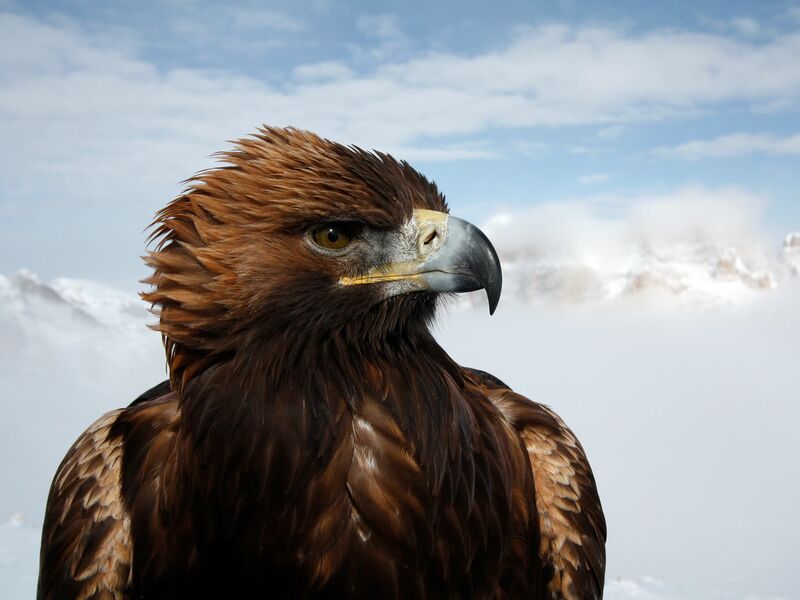 Golden eagles are one of the fastest animals on the planet and a supreme mountain hunter. There are populations across all Northern Hemisphere mountains ranges. They are well-adapted to hunting in such terrain; telescopic eyesight means they can spot prey from two miles away and a seven-foot wingspan allows them to soar up to 100 miles in a day in the hunt for food. This image is from Hostile Planet. 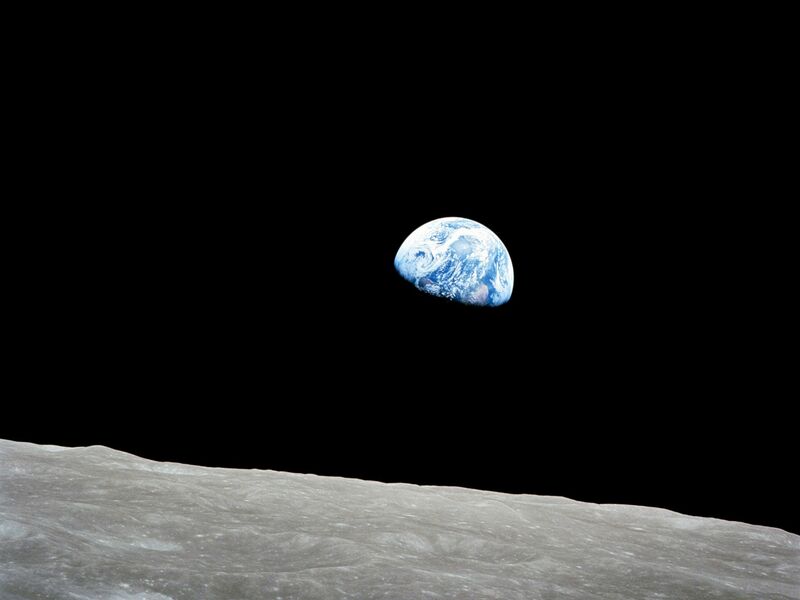 The rising Earth is about five degrees above the lunar horizon in this telephoto view taken from the Apollo 8 spacecraft near 110 degrees east longitude on December 24, 1968. 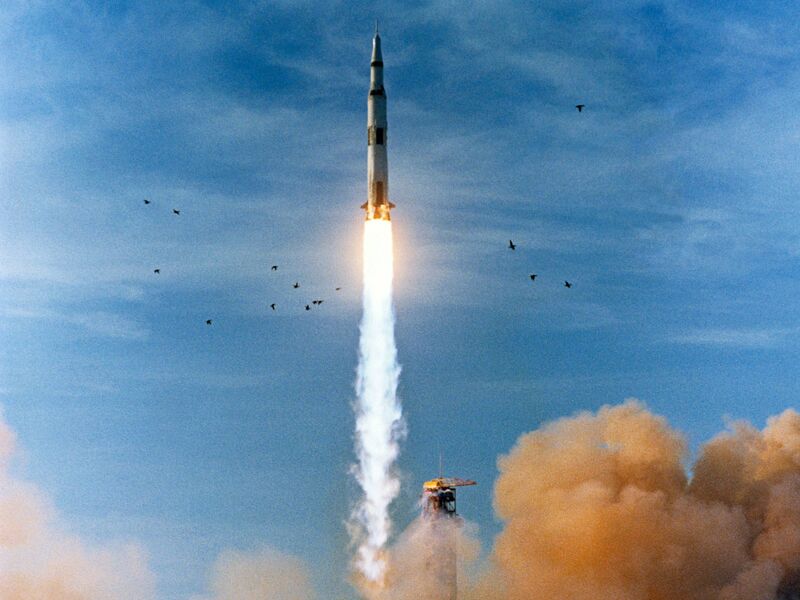 This image is from Apollo 8: The Mission that Changed the World. 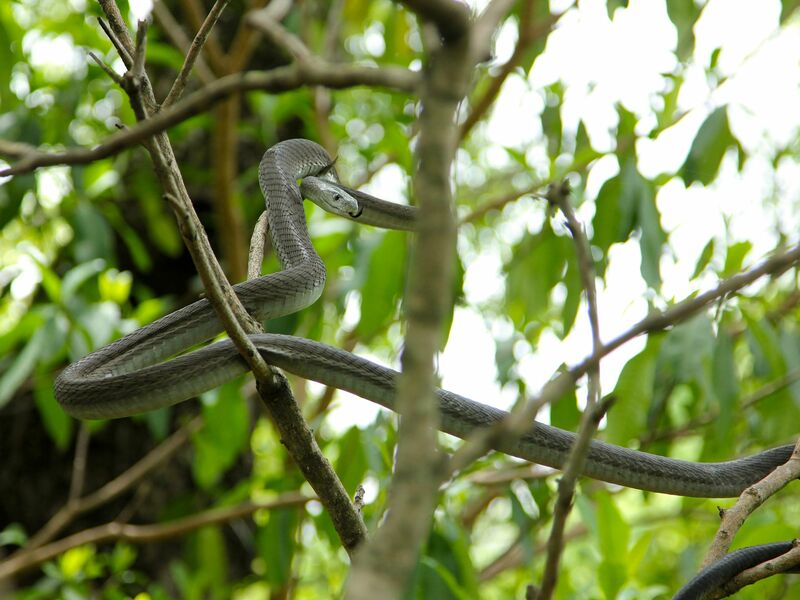 A mamba strike is known as the 'Kiss of Death'. The strike from a mamba is so fast and its fangs so short and fine, a bite is almost imperceptible. This image is from Predator in Paradise. 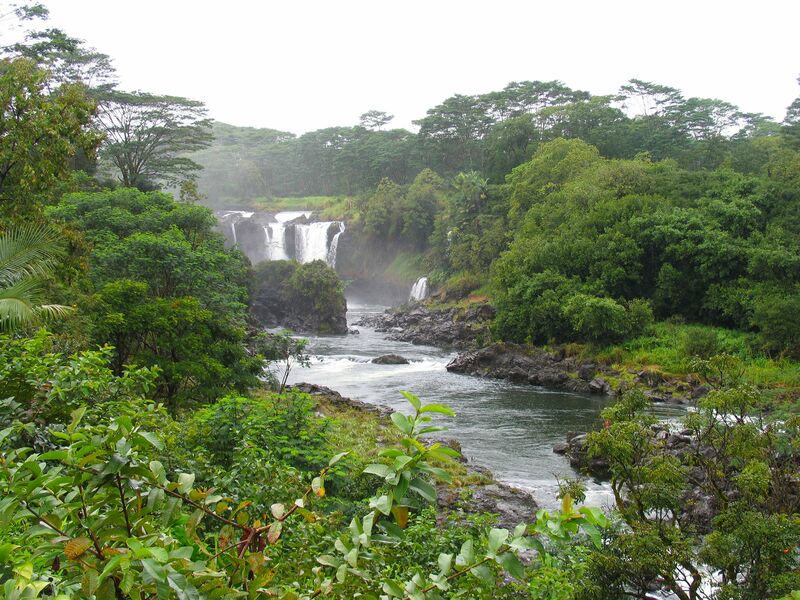 Beautiful Pe'epe'e Falls above the charming town of Hilo, Hawaii. This image is from Amazing Planet: Lava Driven World. 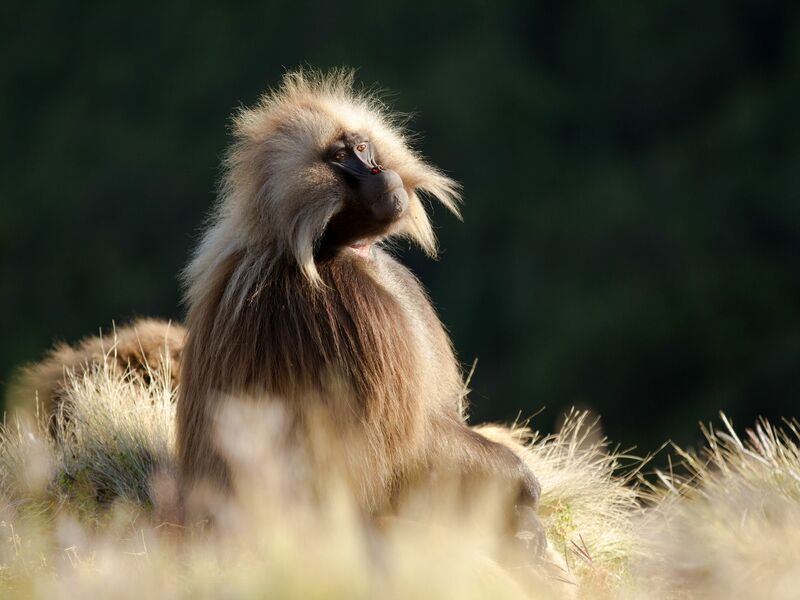 Ethiopia: A male gelada, Simien Mountains National Park, Ethiopia. Despite their large canines and powerful bodies geladas pose no threat to humans. Over many years they have been studied by scientists so this population are well-habituated to humans. They are a unique mountain monkey, spending their entire lives on the Simien Mountains in Ethiopia. 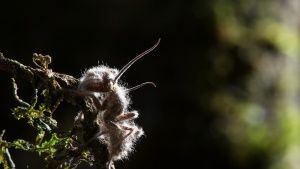 For protection they will spend the night on cliff ledges, venturing up into the dawn sunlight to warm up before they begin feeding. This image is from Hostile Planet. 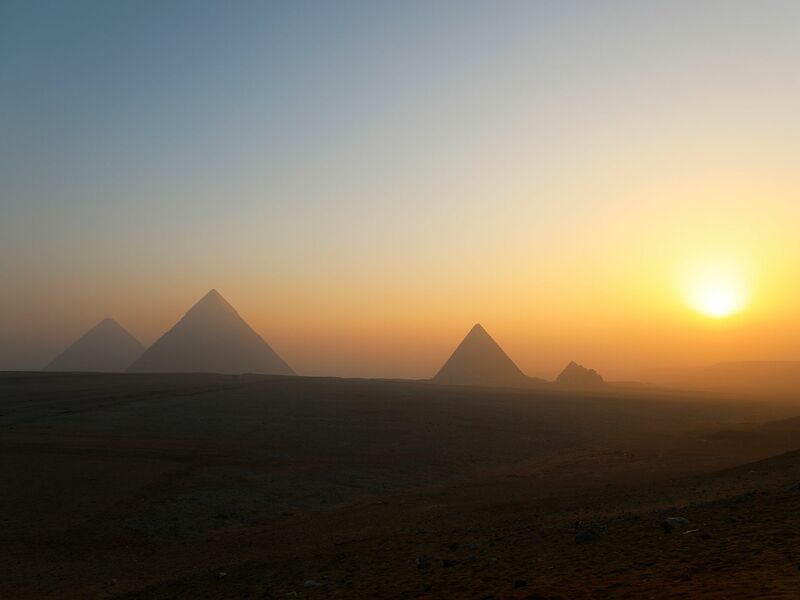 Pyramids off in the distance. This image is from Egypt From Above. 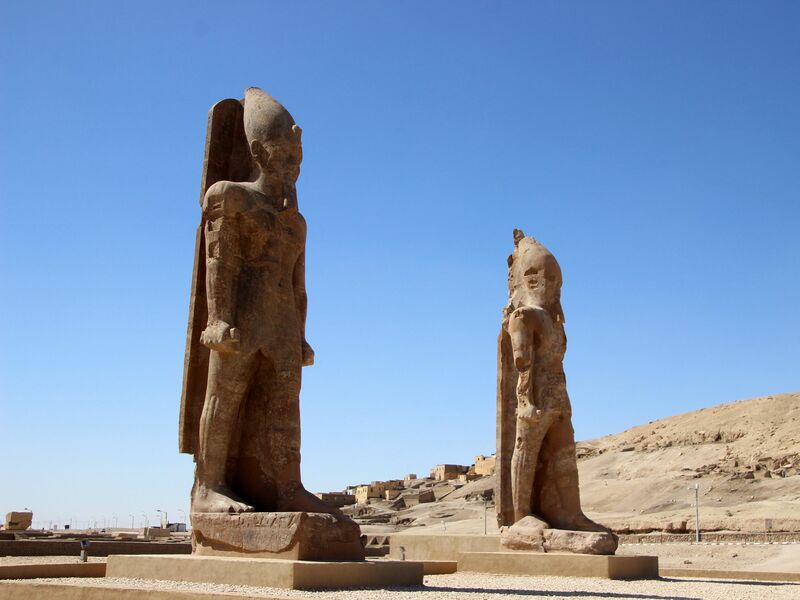 The recently re-erected Colossi of Amenhotep III at the North Gate of his mortuary temple at Kom el Hetan. 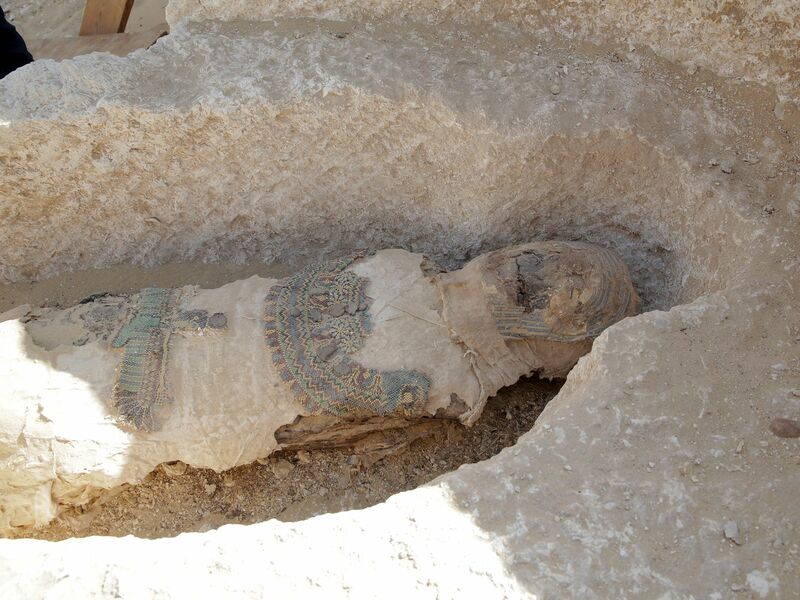 In a newly excavated tomb, archaeologists discover at least thirty mummies. This image is from Egypt's Sun King Secrets & Treasures. 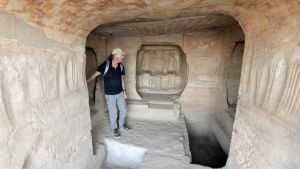 Open crypt with remains of a mummy still inside at the archaeological site of Tuna al Gabal. This image is from Egypt with the World's Greatest Explorer. 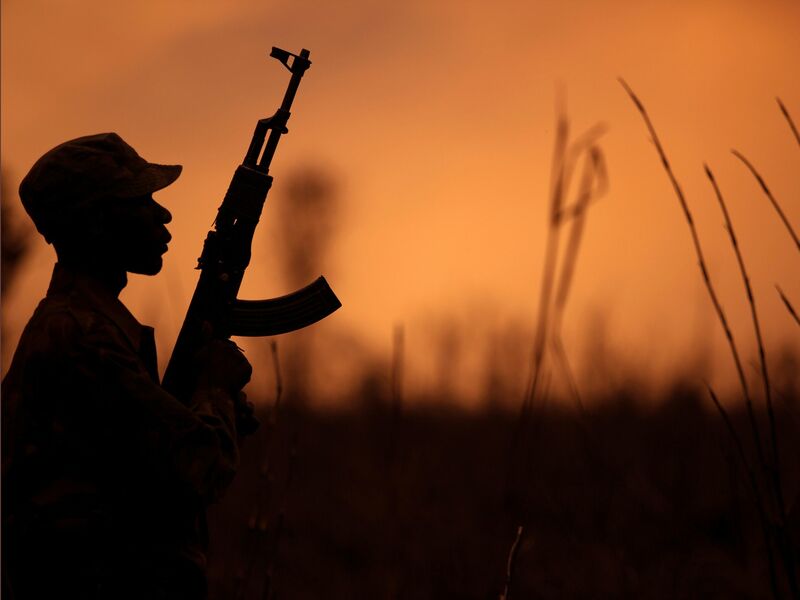 Garamba National Park is one of Africa's oldest national parks and one of the deadliest for both elephants and rangers due to the number of militia and poaching groups operating in the park. This image is from The Last Animals. 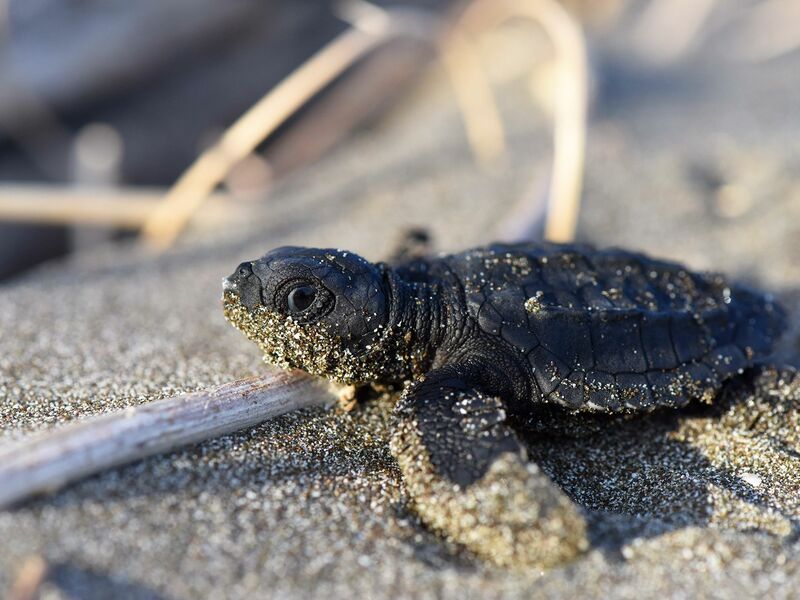 Nancite, Costa Rica: After digging its way to this surface, this turtle hatchling must now run a gauntlet of predators to reach the ocean. This image is from Hostile Planet. 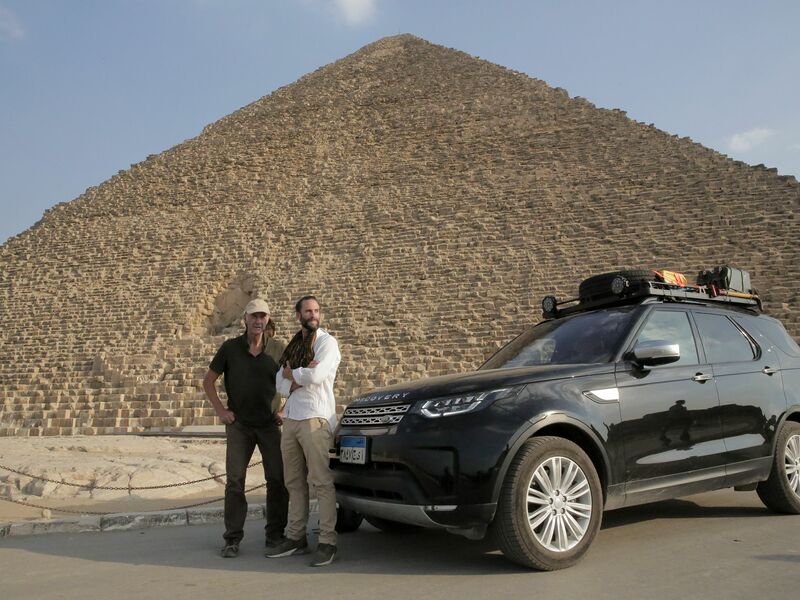 Joe and Ran Fiennes with crew filming at the pyramids in Giza. This image is from Egypt with the World's Greatest Explorer. A mamba strike is known as the 'Kiss of Death'. The strike from a mamba is so fast and its fangs so short and fine, a bite is almost imperceptible. 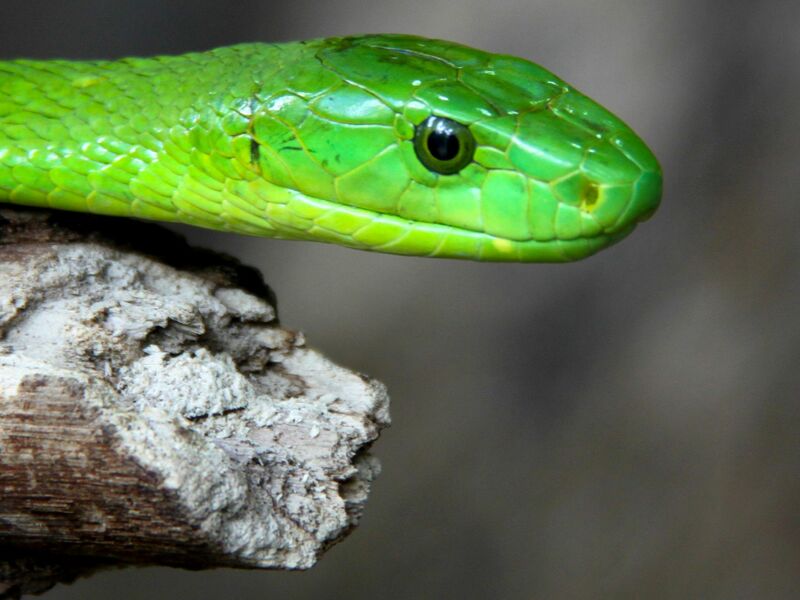 In Africa it's believed that up to 20,000 people die from snakebites each year and the most feared serpent of all is the Black Mamba. This image is from Predator in Paradise.